Catching up on a few things in my wheelhouse since my last column. The business of football never slows, even during the one-month NFL offseason of late June to late July. The adage “deadlines spur action” was again on full display in the Ryan Fitzpatrick negotiation with the Jets, pointing out—as with the Von Miller negotiations—that the past few months were simply a matter of a “move along, nothing to see here.” The action would come, as it always does, at the deadline. In Fitzpatrick's case, he was represented by someone I know firsthand to be the ultimate deadline agent, Jimmy Sexton. I did several deals with Sexton at different deadlines; he understood that teams do not make their best offer or show their full hand until they absolutely, positively have to. In this case, the moving point for the Jets was on the eve of their training camp, where they—as Sexton knew they would—succumbed to a one-year deal after desiring multiple years for months in order to control Fitzpatrick's future if they so desired. Now Fitzpatrick maintains his freedom next year, although he failed to draw any true suitors besides the Jets for long-term interest. A deal no one could refuse. As to the "fully guaranteed" $12 million, the contract would have been effectively guaranteed the moment he signed. The Jets weren’t going to cut him before the season, he would be paid if injured, and he’d entitled to his salary even if cut after the first game thanks to his vested veteran status. Potential incentives bring the deal to a respectable $15 million, although to reach the full $3 million extra would require a Super Bowl victory. Fitzpatrick and Sexton couldn’t match the $18 million number that Sam Bradford received, which was their initial target, but ended up getting closer, with better structure, than most thought they would. 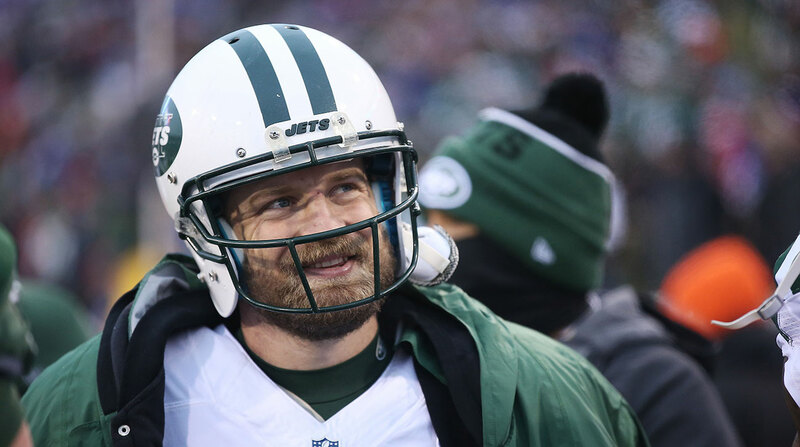 The Jets and Fitzpatrick struck a deal. Of course they did; options create leverage and neither side had a better option. And, of course, something about a deadline. The franchise-tag deadline came and went on July 15 with predictable results for a few of the tagged players. Before getting to the most public negotiation of the group—between the Broncos and Von Miller—let’s examine a couple others. Kirk Cousins was never really in a negotiation, as the Redskins anchored at $16 million a year in February and seemed genuinely confused as to why Cousins didn’t jump at that number after making relatively minimal wages over the past four years. Thus, 2016 becomes another “prove it” year for Cousins while he pockets one-year earnings ($20 million) at a level that, for now, the team is unwilling to match long-term. Justin Tucker and Muhammad Wilkerson were in negotiations that both seemed doomed going into deadline day. Of course, both got deals done, with the teams doing what any good negotiator does: never show all the cards until absolutely, positively necessary (the deadline). In Wilkerson’s case, the Jets may as well have been on a deserted island between February and July 15; the deadline not only spurred action, but also started it. The most interesting, and most public, tag negotiation was a six-month slog between the Broncos and Von Miller and his agent, Joby Branion . I spoke to Joby Branion on my “Business of Sports” podcast and some of this thoughts and frustrations are reflected here. The Broncos have become a team with a reputation in the agent community as intent on imposing their will in negotiations: setting a position and anchoring until the other side gives in to their numbers (or to frustration). They have “won” team-friendly deals for players such as Derek Wolfe, Chris Harris, Chris Anderson and incoming left tackle Russell Okung. And at the game’s most important position of quarterback, they (1) reduced Peyton Manning’s compensation by $4 million a year ago, (2) anchored at a number for Brock Osweiler while the Texans surpassed it and (3) anchored at financial and/or draft compensation position for acquiring players such as Colin Kaepernick and Sam Bradford without wavering. After an offseason of jockeying for contract position, Miller’s shirt said it all as he met the media on the eve of the opening of training camp. I find this reputation curious knowing Broncos negotiator and point man for negotiations Mike Sullivan, a former agent with whom I negotiated many deals, including the first contract for Aaron Rodgers. Mike truly enjoyed the art of negotiation; we had many long and involved negotiations about the most intricate details of contracts. Now, however, he appears to be operating under the guidance of John Elway’s more rigid and less engaging approach. Even with a player of extraordinary talent such as Miller, the team stayed where it was with cash flow and guarantees until, of course, it had to change to get a deal done. Spinning to Miller, the Broncos agreed on a six-year total contract value of $112 million in early June, six weeks before the tag deadline. From an optics standpoint, the Broncos appeared generous, as it established Miller as the highest-paid defensive player in terms of average per year. Of course, the devil is always in the details, and details such as cash flow, guaranteed money and trigger dates for those guarantees would be the key to whether the deal would happen or not. Options are the key to leverage, and with Miller saddled with the tag, the Broncos knew that Miller’s only options were to play for an undervalued tag number of $14 million or play for a longer deal at their terms. Branion, however, tried to create a third option. He discussed the possibility of Miller sitting out the 2016 season, a scenario made more conceivable by a CBA technicality that would prevent the Broncos from applying the exclusive tag again and require an offering team to “only” part with first- and third-round draft picks (and an extraordinary contract) to steal Miller. While I understand Branion’s conviction that a massive contract would be waiting for Miller next year, I dismissed this option as a negotiating ploy. As a former agent, I could not have advised Miller to forego $865,000 all fall while training on his own with the hope, not the guarantee, that a team would send a first- and third-round pick and a monster contract for which the Broncos would not match to make up these lost earnings. I certainly understood that Branion needed that threat for negotiation leverage, but I still doubt it was a realistic option. With the Broncos sitting on their offer—they probably believed, as I did, that Miller would never sit out—other market forces had to intervene to move the negotiation, and they did. Fletcher Cox of the Eagles and Andrew Luck of the Colts, both from the 2012 draft (Miller was in the 2011 draft), scored stunning contracts. Even the stubborn Broncos had to make some nod to those deals, especially the Cox contract with $63.6 million in guarantees. Thus a deal was struck at, of course, the deadline, with final cash flow numbers of $25 million after one year, $42 million after two and $61 million after three. The first year is a bit light for comparable players, but the contract catches up well in the second and third years. While Miller set records in average per year and guarantee levels for a defensive player, one can only wonder what his true market value would be were he able to negotiate with all teams as a “true” free agent, rather than being limited to negotiating only with the Broncos. Options create leverage, and Miller had no options (again, please don’t bring up sitting out for a year). As for Branion, he had two negotiations going on this past year: one with the Broncos and one with Miller. He had to manage an emotional client through different flashpoints—the White House trip, the team ring ceremony, team-placed media reports – in the face of an emotionless adversary intent on imposing their will, albeit with some concessions at the deadline. 1. Although Tom Brady’s quest to play a (second) season without suspension ended July 15, it actually ended on March 3. It was in a U.S Second Circuit courtroom when two of the three judges hearing the case ambushed Brady attorney Jeffrey Kessler before he could finish his first sentence with questions such as “Could not Goodell have punished Brady simply for destroying the phone?” After a predictable 2-1 decision against Brady, his remaining legal options were Hail Marys. Of course, the NFLPA “reserves its rights” to appeal the case to the Supreme Court, which is another Hail Mary. 2. Judge Richard Berman’s stunning rebuke of Goodell last September is now merely a footnote, rather than a milestone, in the annals of sports law. NFL attorneys are breathing a sigh of relief as the Second Circuit rescued them. 3. Despite NFLPA successes in Rice, Peterson, Hardy and Berman’s decision in Brady, the CBA remains unchanged, and the Second Circuit has further emboldened Goodell. Deflategate was long past being about deflated footballs; it was about Goodell maintaining his cherished commissioner power. 4. As to Brady’s “legacy,” to me that is a personal matter, not one dictated by others. I find myself less concerned with Brady tinkering with PSI levels than with his testimony that he didn’t even know the name of one of the equipment men central in this story, Jim McNally, someone who had been working Patriots games for 15 years. Really? 5. Despite the angry rhetoric, I doubt Goodell’s relationship with Robert Kraft is as fractured as advertised; I am told Kraft’s issues were always more with league lawyers than Goodell. And, whatever support Goodell lost from Kraft—and again I don’t think it was much—he gained from other constituents (owners) while keeping his thumb on the NFLPA in the process. 1. It is a pet peeve of mine, but somehow retirements that happen before players are shoved out the door are lumped in with retirements of players who see the future and opt out preemptively. Players like Chris Borland and A.J. Tarpley—both one-year players far removed from veteran contract paydays—represent “early retirements.” In contrast, players that retire after six to 10 years in the NFL, often after finding no viable suitors for continued employment, are not in the same category. Players like Calvin Johnson, D’Brickashaw Ferguson, Patrick Willis and my friend Greg Jennings all had nice and lucrative runs in the NFL. Perhaps they could have squeezed out even longer careers, but while (mostly) voluntary, they are not “early retirements” on a par with players in their early 20s, seeing the future and deciding on a different career path. 2. The ESPN report about the lack of momentum for the Rooney Rule illustrates what happens with a well-intentioned goal that lacks a true system in place to give it substance. I remember my first reaction when the rule was announced in 2003: “Is this just for head coaches?” To me, the Rooney Rule should be bottom up, rather than top down, and include a systematic, grass-roots plan for building opportunities for minorities—such as expansion of the coaching intern program beyond training camp—with specific goals in place. As it stands, the Rooney Rule has allowed teams to develop a “check the box” mentality, often interviewing a minority candidate on the existing staff before moving on to their desired candidates. And there is a growing trend of owners using search firms—don’t get me started on them—to oversee their hiring process; these firms’ books of candidates do not have enough minorities. With a system in place for more structured interviewing of minority candidates that would not happen. As I often say, a goal without a plan is a wish; the NFL cannot wish its way to more inclusive hiring practices. 3. The NFL is on a positive trajectory at the moment regarding their (stated) highest priority. Along with the NFLPA, they ushered in stepped-up protocols and sanctions for not taking appropriate steps with compromised players, a response the Case Keenum fiasco last year. And they have finally ushered out Eliot Pellman, the rheumatologist—yes, an arthritis doctor—who led the controversial Mild Traumatic Brain Injury (MTBI) committee that consistently denied the science in the concussion space. Although his committee has long since been disbanded, Pellman was still somehow connected to the NFL, causing lingering mistrust among fans, media and players. In a nod to putting the past behind them, Pellman “agreed to retire” (translation: Roger Goodell agreed he should retire). These measures, like the health and safety improvements in the current CBA, are politically (and morally) no-brainers for the NFL, and easy “gives” to the union. End of an error.